Looking for the best painters in Morningside? Qpaint is a top Morningside painter for both residential and commercial painting. We are a family owned and operated business with two generations and over 40 years of experience. If you want quality and affordability Qpaint will deliver. Our workmanship is guaranteed for 5 years and our craftsmanship is second to none. Again and again our customers recommend us to family and friends, we wouldn’t be a leading Morningside painter without word of mouth. And we only get positive word of mouth from friendly service, affordable prices and quality finishes. Qpaint offers a free no obligation quote with a fixed price. This means no hidden charges or suprise extra costs once the project has begun. Simply give us a call and we come to your home to get an idea of the job and your design ideas. Unlike other painting companies we do not send a commission based salesperson. One of our senior painters will attend the quote. You can get a feel for our friendly and professional service plus ask any questions or advice from an experienced painter. Our prices are affordable and combine quality with budget. We can go through all your options and budget, meaning you get the most for your money. On top of our affordable paint prices, we offer a free 90 touch up service. If your paintwork is damaged accidentally we will come back and fix it for FREE. We offer a full range of painting services. We have experience in exterior painting for all types of homes from Grand old Queenslanders, newer brick homes, cladded homes, rendered homes and all other exteriors. Queensland climate is hot and paint needs to last. Our paint is selected for its ability to last in the Queensland environment. We also specialise in roof restoration specific to Brisbane’s climate. Your roof takes the most heat and protects your home from the outside environment, make sure you have the experts at Qpaint protect your home. Our Morningside painters give you a set start and finish date. We are reliable and never leave you waiting around. Qpaints services include commercial projects and we have a specialist commercial team to cover all required jobs from corporate to government. Our team are specialists painters and deliver high quality finishes to both interior and exterior paint jobs. If you need some help in paint choice we can recommend a professional colour consultant to go over your choices and design. Qpaint takes pride in every aspect of our company from customer service through to workmanship. As a family owned and operated business our reputation is very important to us. And we know to maintain our great reputation we must keep our quality high and prices in budget. So we always strive to offer great products and promotions to our customers. We offer a huge selection of paint colour choices and finishes. Our senior team are always ahead of the market in offering the newest products and latest trends. But none of that matters if your paint is not applied well. Our Morningside painting team is highly experienced and work to a very high standard. The finish must be perfect and to achieve a perfect finish – prep work is vital. 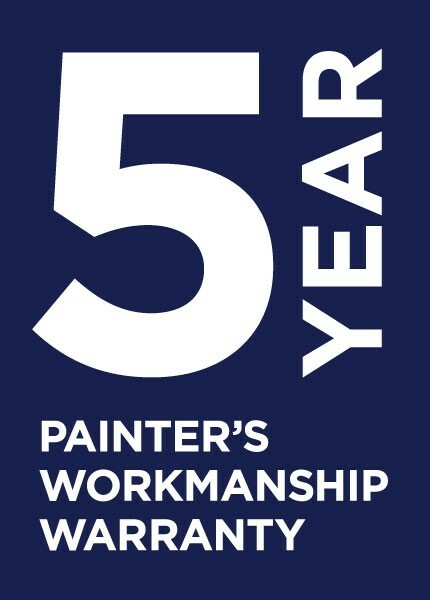 From our first quote visit and during the job – to our touch up service – we provide the highest quality workmanship and take pride in every drop of paint applied.